When I was in my twenties, I always found it irritating that I’d come home with the perfect haircut and blowout, only to never be able to replicate the look again, no matter how long I spent in the bathroom with my hairdryer and round brush. 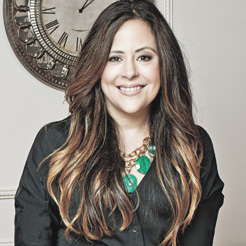 Once I went down the path of becoming a professional stylist, this was one of the first hair mysteries that I wanted to tackle, and I’m proud to say I’ve mastered the DIY professional blowout. All it takes are these five must-have products and a few little tricks that I’m sharing with you here. Before I worked with these products, my blow outs were kinda “meh,” but with these in my arsenal, they’re ah-mazing. 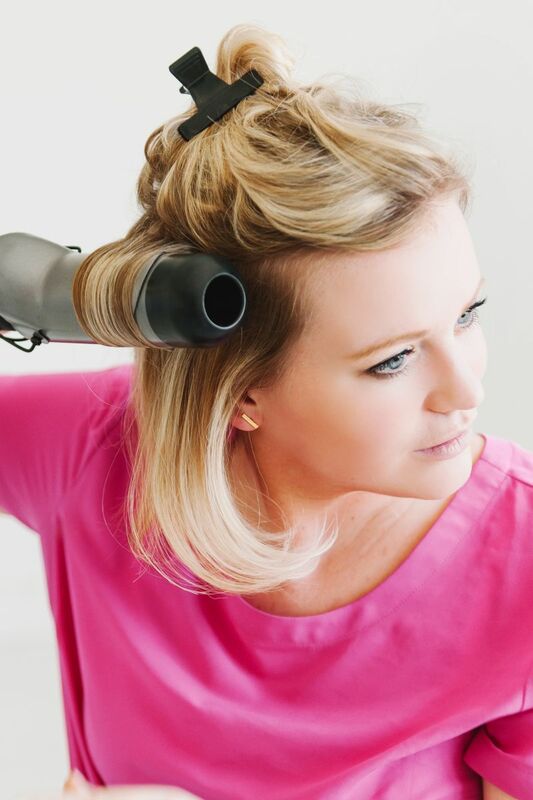 I promise these tricks will save you time, money, and headaches—and have your hair looking fabulous. A large barrel curling iron will mold your hair similarly to a brush and blow dryer combo—removing frizz, while adding bounce and sheen. Dry your hair as you normally would, and then start at the root like in the photo above using a curling iron like Hot Tools – Supertool 2″ Curling Iron with Multi-Heat Control at Amazon ($33.92). Pro tip: I use this professional iron for both myself and my clients. It’s a solid beauty tool at a super affordable price! This technique is the perfect way to fake a blowout on “same day” or “next day” hair. Another beauty bonus: You can use this same technique to bump up an existing blowout or dirtier hair. I love using John Frieda Salon Shape 1.5 Inch Hot Air Brush via Amazon ($24.99) because I get a great salon look and feel, but I don’t have to struggle with two tools. This blow dryer–brush combo tool is great if you’re a beginner and struggle grabbing hair from the root. 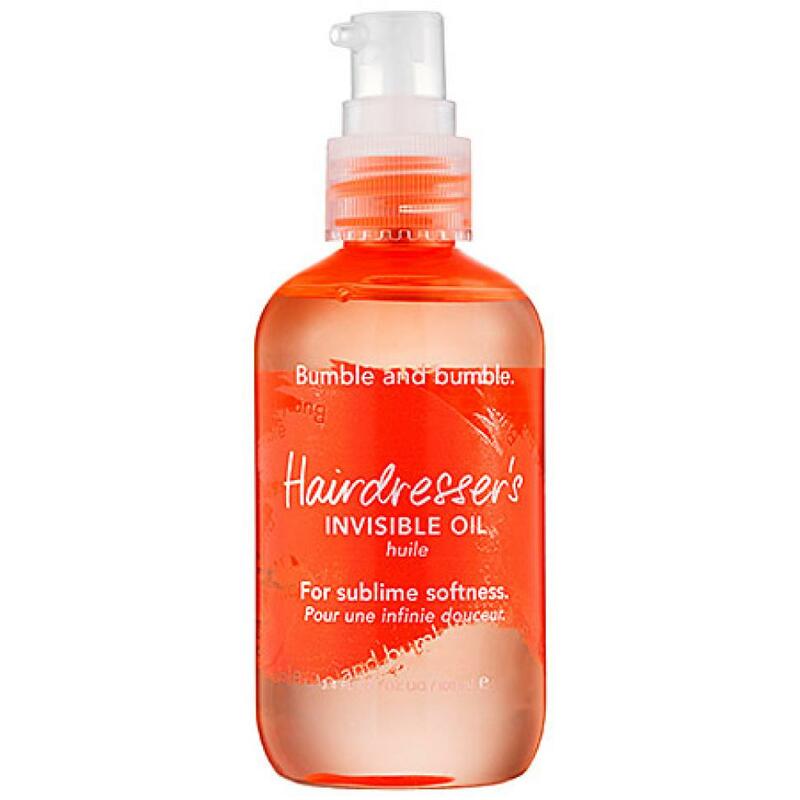 Bumble and Bumble’s Hairdresser’s Finishing Oil ($39) is not your average styling product. Performing double duty as a styling and finishing product, this oil will allow you to get a salon-quality blowout without much effort. It leaves hair dramatically soft and smelling great! 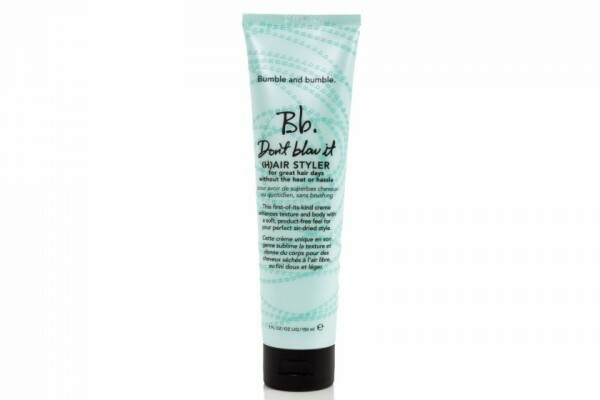 Use Bumble and Bumble Dryspun Finish ($30) to jazz up your finished blowout and step out looking like you just came out of the salon. Think of this as mousse in a can, but in spray form. It whips up your hair with body and bounce and eliminates static. I use this product every time I blow out my own hair as a professional finisher. Pro tip: This product allows you to lazily blow out your hair and then get it professional looking at the end! Keep it away from your husband. This is NOT your everyday hairspray—it’s a styling tool for long hair (not man spray…you know what I mean?). I know this tip might sound counter-intuitive, but if you’re like me and really hate drying your hair, then Bumble and Bumble’s Don’t Blow It ($30) is for you! The finished look is relaxed pumped-up hair (think the hipster hair commonly seen in Free People ads—not bad, eh?). This revolutionary product is great for easy hair days without the heat or hassle. The creme spreads nicely, giving your strands a beautiful air-dried look with a product-free feel. It’s great for medium to fine hair, especially in the warmer months when you’re trying to avoid your blow dryer.